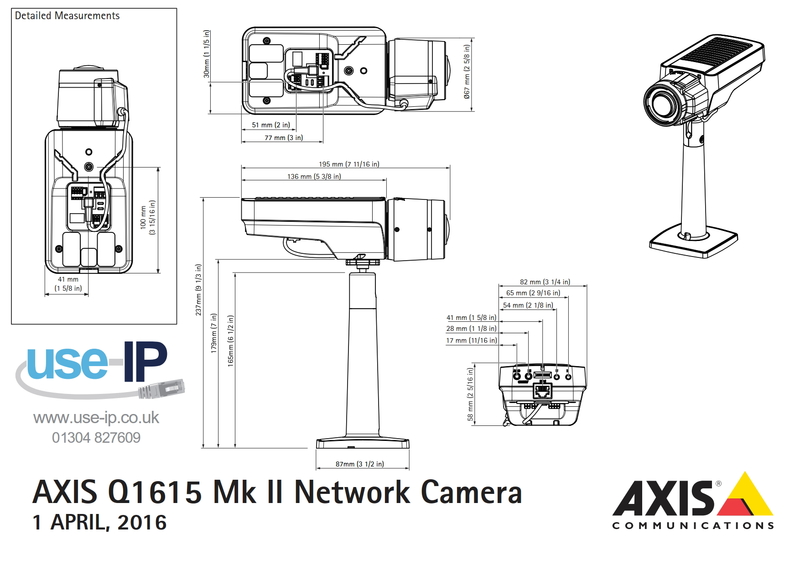 The Axis Q1615 Mk II is a 1080p resolution camera with Axis' new intelligent i-CS lens that can store lens settings for quick remote or automatic image adjustment (zoom, focus, Iris). It uses WDR and lightfinder technology to achieve HDTV images even in the most difficult lighting conditions, it also features Axis' Zipstream Technology that reduces bandwidth and storage requirements, it can record up to 120 fps at 720p and 60fps at 1080p. AXIS i-CS Lens: How Does it Work?